Sand Filters have been installed on tens of thousands of pools for decades- a testament to their performance, value and ease of use. But not all sand filters are equal, because not all include design features that continuously flatten and level the sand inside the tank. This is the key to consistent performance and quicker cleaning cycles that keep pump operatign costs low. 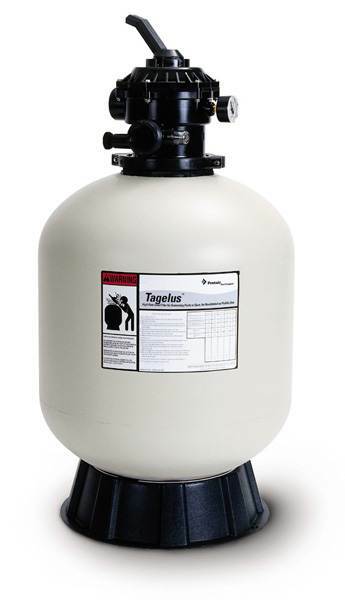 It is also a key advantage when you select a Tagelus Filter. Filter diameter is 24.5 inches.